So you want to dispose of your inedible organic waste in a better way than sending it to the landfill, but you can’t compost at home. What do you do? How can you find out where to compost your waste? Check out Biocycle’s site (www.findacomposter.com) to do just that. 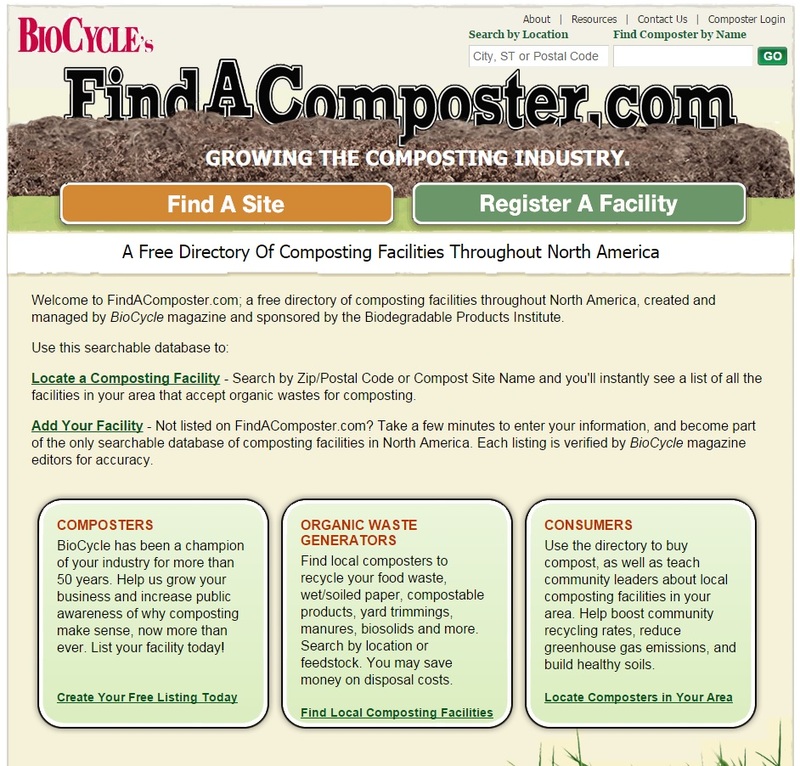 It locates composters across North America based on your location. If you know a facility that isn’t listed, you can add it to the site and help your neighbours get on board with composting too. This entry was posted in food waste, residential and tagged composting, food waste by laurapenney. Bookmark the permalink.